It was back in April at Qonnections, our 10th global partner conference that we unveiled Qlik Sense 2.0 and shared our platform strategy with the world. It was also the first time we talked in detail about our plans for QlikView 12. Today I’m delighted to be able to share the news that it’s arrived! QlikView 12 is here! There is no doubt that this is an eagerly awaited release by many of our 37,000 strong global customer base. But why? Because QlikView is a very mature product, is functionally rich, and it’s undoubtedly (in my opinion) the product that revolutionized business intelligence and ultimately created the global data discovery market as we know it today. So what is so important about QlikView 12? With QlikView 12, Qlik delivers on its commitment to its proven, market-leading data discovery solution which secures our customers' long term investment in the product. It also lays the foundation for our customers to partner with Qlik to build out their business intelligence strategies and meet the expanding needs of their BI consumers by addressing multiple use cases through a unique platform approach to visual analytics. Because QlikView 12 now runs on the second generation QIX (Qlik Data Indexing) engine that powers the entire Qlik portfolio we can more easily help customers address new use cases in Qlik Sense, and by allowing them to more easily share data models across the platform customers are able to increasingly see the whole story that lives in their data. 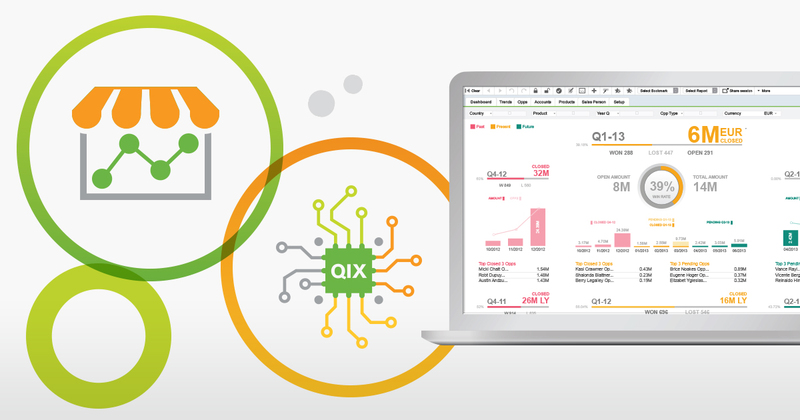 Our investments also benefit the way our customers use QlikView today. QlikView 12 delivers a number of deployment, performance, security and connectivity enhancements along with greater accessibility through enhanced mobile touch-enabled capabilities. In addition QlikView customers will be able to now take advantage in Qlik’s strategy to deliver value-added cloud services – such as Qlik’s “Data as a Service” offering, Qlik DataMarket. Put simply QlikView is a business intelligence solution with unrivaled pedigree, functional richness and which delivers the lowest cost of ownership in the market. Customers including Cisco, Lush and Texas Children’s Hospital use QlikView to deliver robust guided analytics and dashboards to knowledge workers across their organizations, and with QlikView 12, that investment is secured. But I’m a big believer in long term partnerships, that’s why we look at data as just a source and really focus on our users. These are people who use data to make decisions, and that’s why I believe an investment in QlikView 12 is a long term investment in Qlik. It's the foundation on which our customers can continue to drive differentiated analytics strategies that make their people successful and let them win in their markets.